Soccer manager and former midfielder who played for FC Zürich over a 16-year period and earned 63 international caps for Switzerland. He competed in the Swiss Cup five times and the Swiss Super League six times. 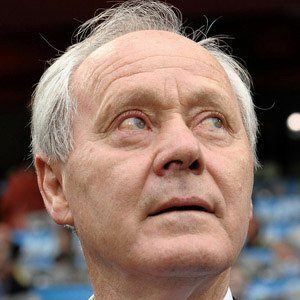 He was the manager of Zürich from 1983 until 1984, Switzerland U21 from 1995 until 2001, and Switzerland from 2001 until 2008. His wife was hospitalized because of an epileptic attack the week before Euro 2008 and went into an induced coma that lasted for nine days. He and David Beckham were contemporaries.